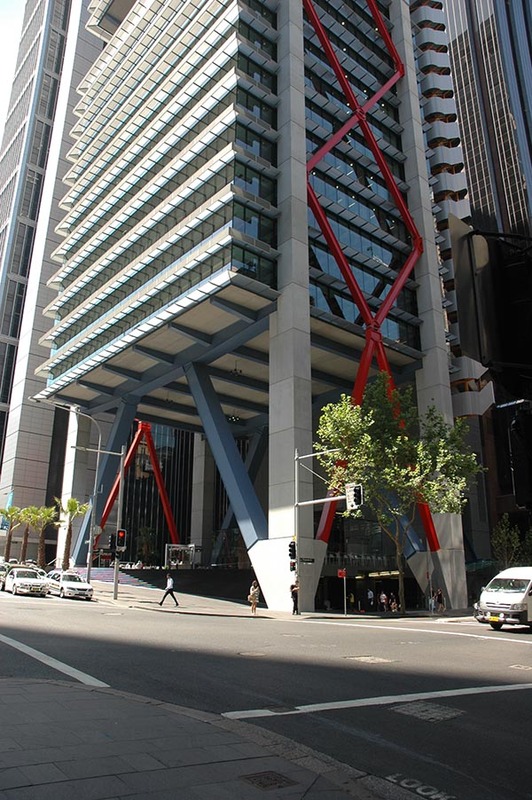 Built to replace a 1970s tower, 8 Chifley is recognisably the work of Rogers Stirk Harbour + Partners. 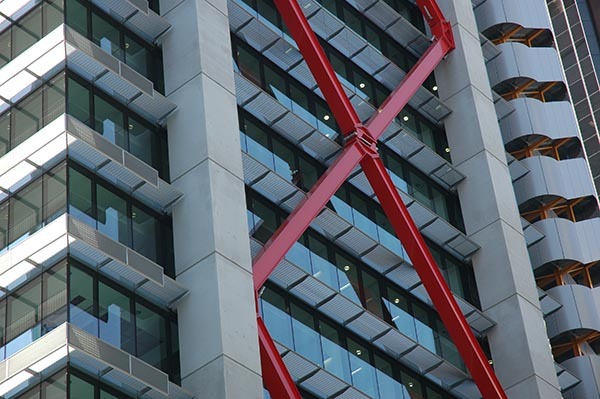 The use of a signature colour, in this case red on the bracing on the sides, the externally expressed structural skeleton, and the expressed stairwells so reminiscent of Lloyds mark it out clearly. 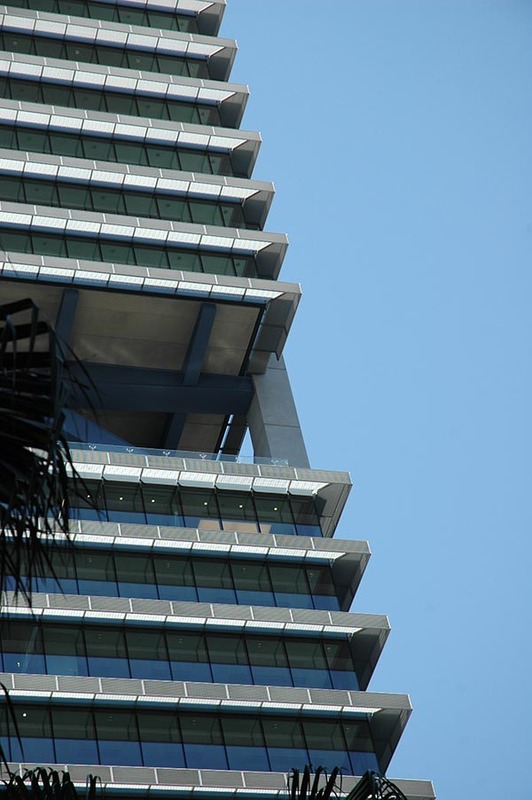 The building is made up of two stacked modules of 12 and nine floors, with seven ‘villages’ of three-storey communal workspaces, providing connectivity and vertical integration between the floors which create the feeling of extensive space. 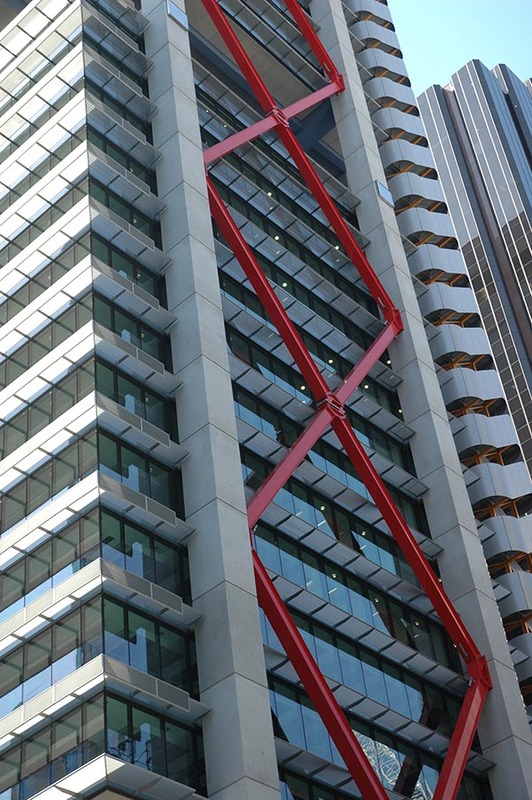 The distinctive red bracing on the exterior of the building reveals the structural skeleton of 8 Chifley, combining structural efficiency, elegance, and most importantly highly functional space planning. 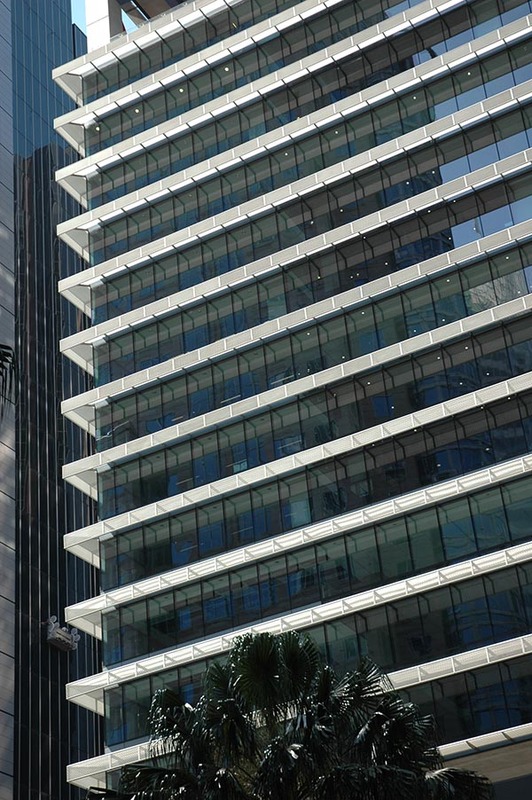 For the buildings users, the elevated ‘village square’ on the 18th floor, set within a three-storey void, provides a space for their community. 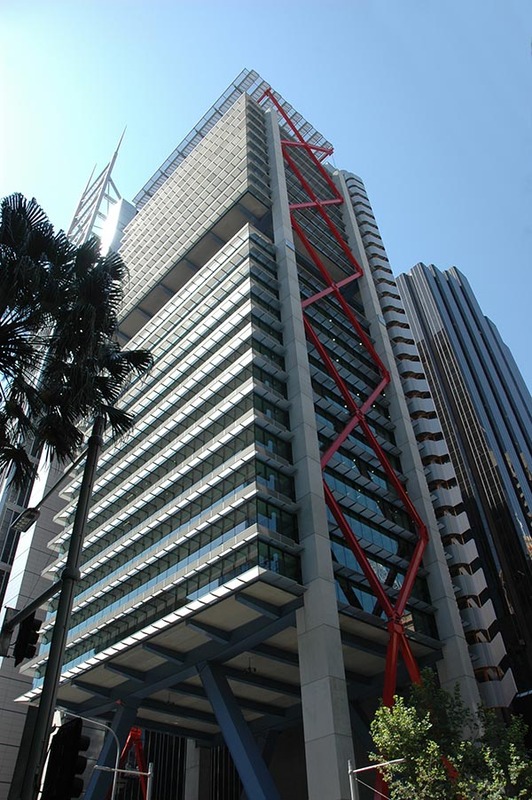 A six-storey open space at street level forms a grand entrance to the building, but also creates a new area of public space.